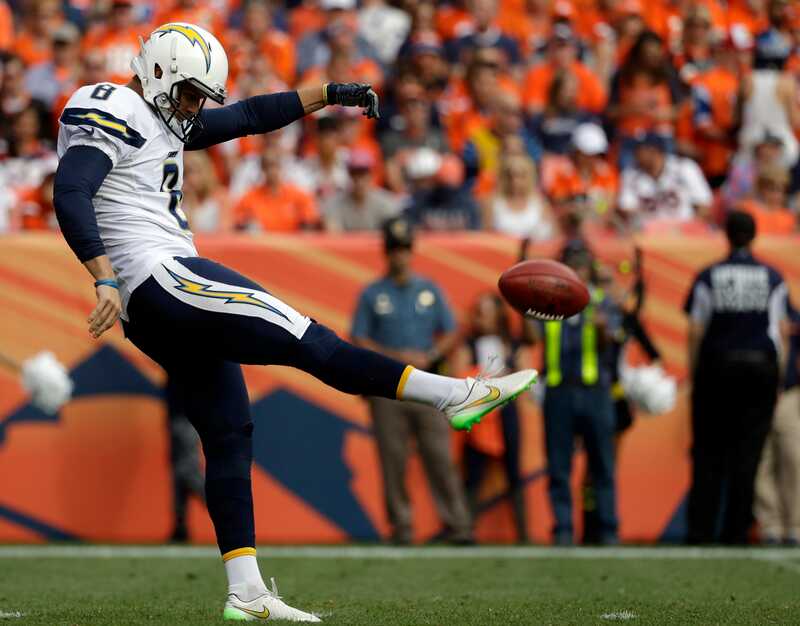 The Packers signed former San Diego Chargers punter Drew Kaser Saturday and brought him with them for their Sunday night game against the Patriots. No idea on this one Scott is healthy and traveled with the team to NE ? Not sure if Gute and MM were on a drinking binge with some dope mixed in or what . Couple rumors I twitter I read is that Kaser handles kickoffs and maybe a issue with Crosby kicking off so they brought this guy in to get touchbacks as they don't want Patterson to have the chance to return kickoffs. Umm really? How desperate is MM to pull a stunt like that? MM trying to show who's boss after Gutey released his secret weapon for a 7th rounder in 2020. I'm sure MM was whining in Murphy's office all week. Unless I see something that says differently, this has to be another hair-brained decision from the sideline. Why would you sign a player to have as a stand by because player A's wife is having a baby ? How many players have had babys here in season ? I am sorry this is insane !